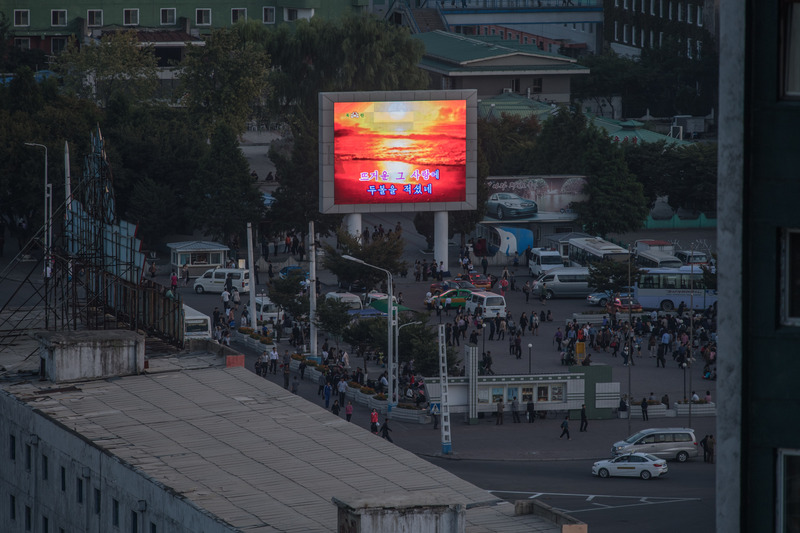 A senior North Korean diplomat on Wednesday renewed threats to carry out a nuclear test over the Pacific Ocean. 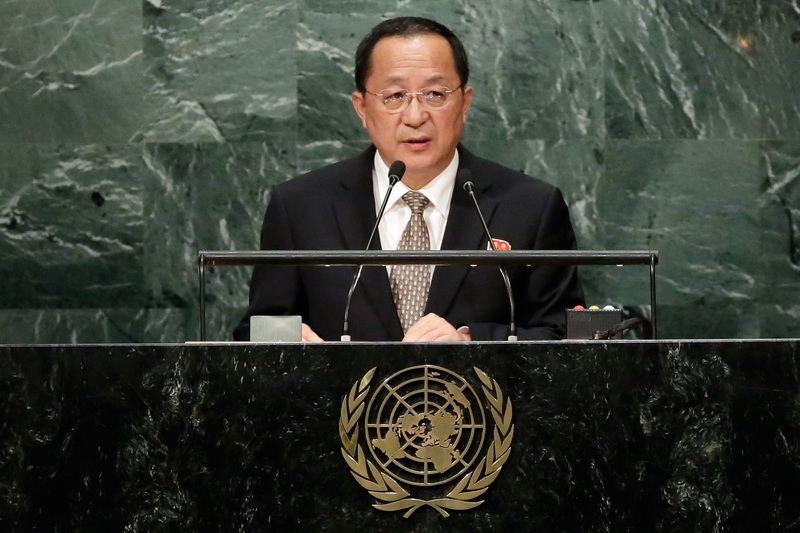 The threat of conducting the nuclear test over the Pacific, which would lead to disastrous health effects, was first made by North Korea’s foreign minister at the time of the U.N. General Assembly in New York in September. “The foreign minister is very well aware of the intentions of our supreme leader, so I think you should take his words literally,” Ri said. U.S. military leaders have warned of the effects that such a test would have. Chairman of the Joint Chiefs of Staff Gen. Joseph Dunford Jr. said last month that such a test would have similar effects to the Chernobyl disaster in the Soviet Union. Thousands were killed and a large area was contaminated with radioactivity when a nuclear reactor at the Chernobyl power plant exploded in 1986. “We had significant health challenges for many years and obviously the loss of life,” Dunford said. President Donald Trump has also warned of the health impact of North Korea conducting a test with a hydrogen bomb over the Pacific. “He’s talking about a massive weapon exploding over the ocean, Pacific Ocean, which causes tremendous calamity,” Trump said at a speech in Huntsville, Alabama, on Sept. 22. “Where that plume goes, so goes cancer, so goes tremendous problems,” he said. During the rally, Trump vowed to keep America safe from the threat of a nuclear attack by North Korea. Trump has said that the only solution to the North Korean crisis is for it to abandon its nuclear weapons program. The Trump administration is attempting to find a diplomatic solution to the problem, while at the same time using economic sanctions and the threat of military force to put pressure on North Korea. North Korean dictator Kim Jong Un has so far not shown any inclination to abandon the nuclear weapons program, which he sees as a key tool for the survival of his regime. Kim significantly stepped up the country’s nuclear program after his father died in 2011. Since then he has conducted some 85 ballistic missile tests, according to the U.S. State Department. In total, North Korea has conducted 6 underground nuclear tests, the most recent one in early September. Some experts have suggested that an explosion over the Pacific would be a logical next step in North Korea’s weapons development. 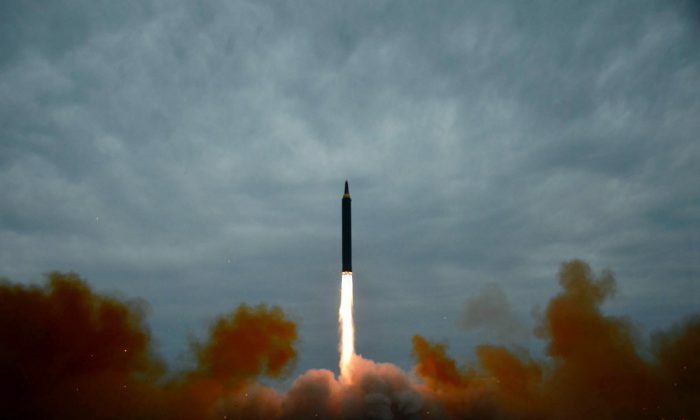 China was widely condemned for a similar test with a missile that exploded over its Lop Nur test site in the country’s western region in 1966.